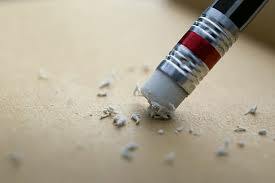 2 John 1:12 I have much to write to you, but I do not want to use paper and ink. Instead, I hope to visit you and talk with you face to face, so that our joy may be complete. I asked a few people and found some other ideas from other people who have asked. Here are some answers I found. A Hindu friend defined Joy as something we can sense through our five senses: sight (a beautiful flower), hearing (a melodious music), taste (a piece of cake), smell (a special perfume), and feeling (a feather touch). She further believed that Joy can be acquired or achieved through our spiritual discipline or efforts – citing YOGA as an example. In other words, she sees Joy as both sensual and spiritual. A Muslim friend said this: Perfect happiness will only be available to us if we spend life everlasting in Paradise. A professor cited: In the fifth century, Boethius – a Roman Senator and philosopher – could claim that “God is happiness itself”. But by the middle of the 19th century, the formula was reversed to read “Happiness is God.” Earthly happiness emerged as the idol of idols, the central meaning in modern life, the source of human aspiration, the purpose of existence. Materialism relocated God to the shopping mall. A Christian friend replied: I find Joy in Jesus. So as you see there are so many ways to internalize Joy. 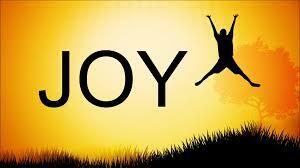 As a Christian, the idea that Joy is found in Jesus speaks to me. Christian Joy is not the seeking of pleasure: quite the opposite. It is a curious paradox of life that the more we seek to be happy the more miserable we become. A famous writer (Eric Hoffer) once said: “The search for happiness is one of the chief sources of unhappiness.” Joy is God’s gift. It is not something to be pursued. Joy should be three-dimensional- towards God, within us and towards others. Joy should be resting on five grace-filled pillars: Faith, Hope, Love, Contentment and Gratitude. Joy should grow in spite of circumstances. Joy is complete only in Christ. Then there is the idea of joy as an attitude. I think it’s something that we can develop and it’s something that affects not only ourselves experiencing it but others as well. Think about this; the differentiation between happiness and joy, happiness as an emotion and joy as an attitude. Joy then seems so much more lasting and has more staying power than happiness in the long run. So I am going to choose to focus more on Joy and being joy-full over the idea of happiness because by having joy we ultimately are happy! In closing, I, like John, prefer personal, face to face communication over writing if I can. To me, there is joy in fellowship. Paul used three thoughts that describe true Christian fellowship: I have you in my mind (Phil. 1:3-6), I have you in my heart (Phil. 1:7-8), and I have you in my prayers (Phil. 1:9-11). This fellowship goes beyond our “Christian” brothers and sisters to all people. Let me close with a one-line prayer. This entry was posted in Faith, Faith and Spirituality, Inspiration, Reflections and tagged joy, joyful. Bookmark the permalink. Great question! Some thought leaders might add that we ARE joy, that it is our natural state to be joyful, but that we forget this because of societal influences… Interesting to think about! Btw, my middle name is Lea! Never met anyone with the same spelling. Cool! I have a good friend who calls herself a light worker. She communicates with angels. My sister is a massage therapist and has become a reiki master. So I choose to believe that we all came with a souls purpose. Some gift to offer which I guess is that part of us beyond space and time shape or form. There are teachings both in Christianity and older religions about these gifts Many go through life never fully realizing them while there are some, light workers, who can recognize their gifts and try to share them. Thanks for sharing your thoughts/experiences! My sister is a Reiki master as well! She also does mediumship and psychic work. I’m an attorney by trade but just find myself so drawn to this field right now. I really never thought of light workers as having existed throughout time. What a fun concept to consider… Maybe it’s more “normal” than people tend to think. I don’t think you have to be a medium or psychic to I think any time we are of service to others and show compassion, empathy and give of ourselves we are spreading light.